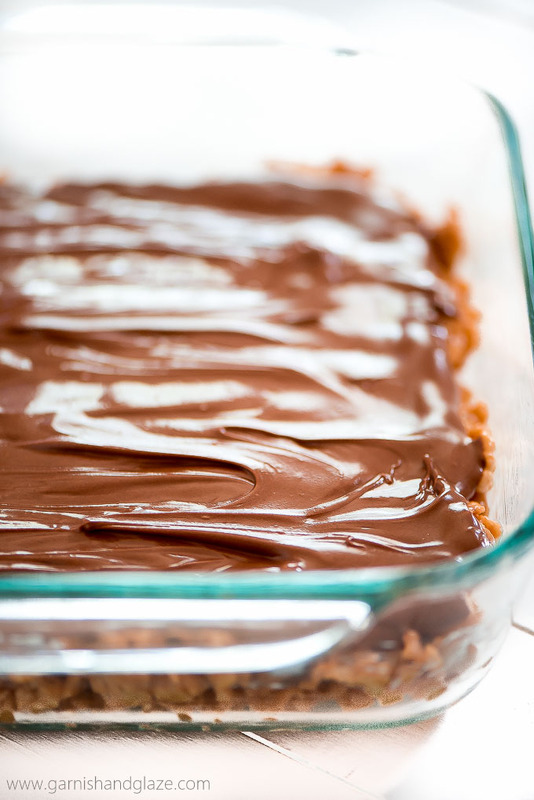 I first shared this Scotcheroo recipe on Spend With Pennies where I am a contributor. 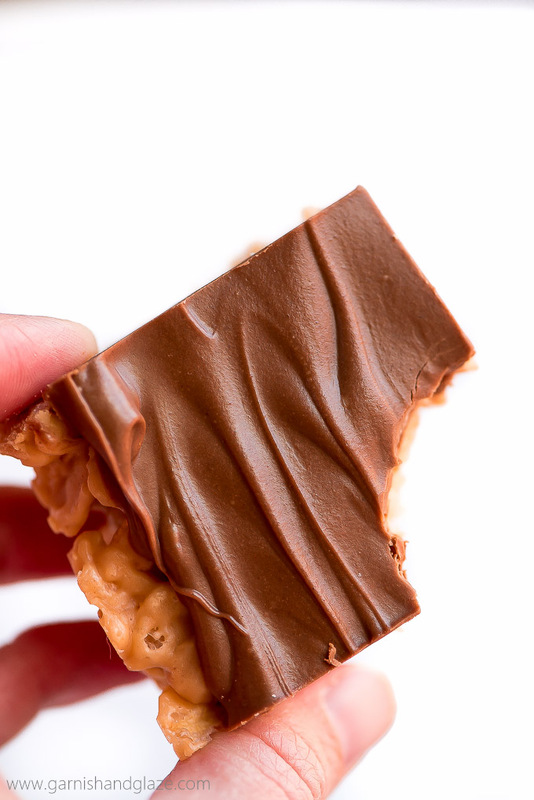 These soft and chewy Scotcheroos are an addictive, six-ingredient, peanut butter no-bake treat that comes together in just ten minutes. WARNING! These Scotcheroos are dangerous! You’ll go in for just one bite and find you’ve eaten an entire row. This happens to me me almost every time I make them. 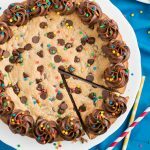 Their soft, chewy, crispy, peanut butter cereal base topped with silky smooth butterscotch chocolate on top makes them irresistible. These babies are my go-to last minute dessert. 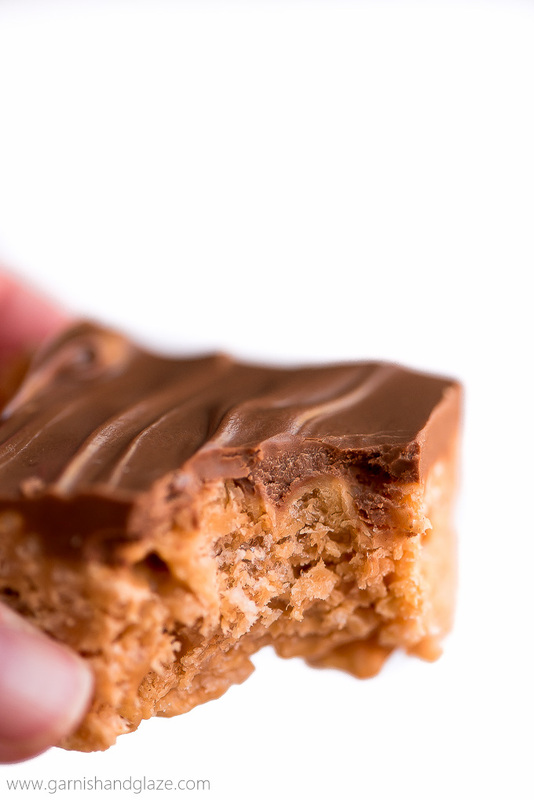 Scotcheroos only require 6 ingredients, all of which are shelf stable so I can always have them in my pantry. 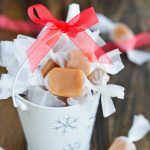 They take 10 minutes to make and if you want to speed up setting the chocolate you can pop them in the fridge. There are other Scotcheroo recipes out there but I’ve never had one quite as good as this. 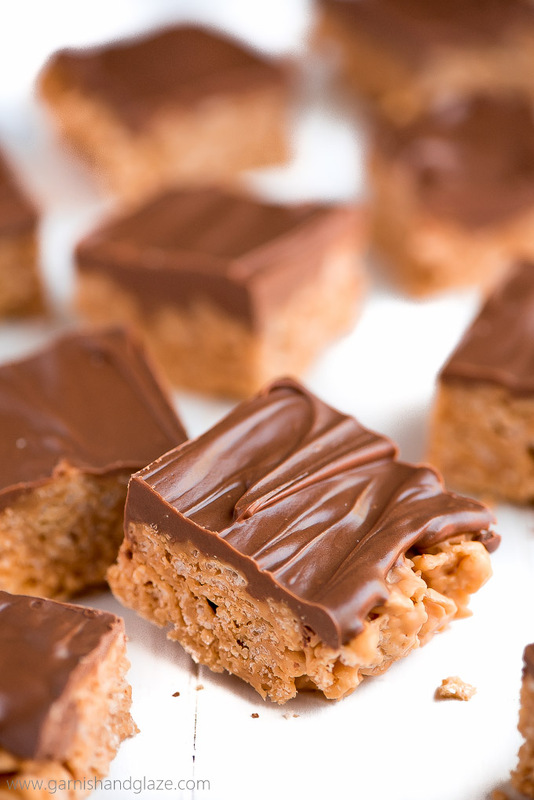 My Scotcheroos always come out soft (easy to bite) and chewy. 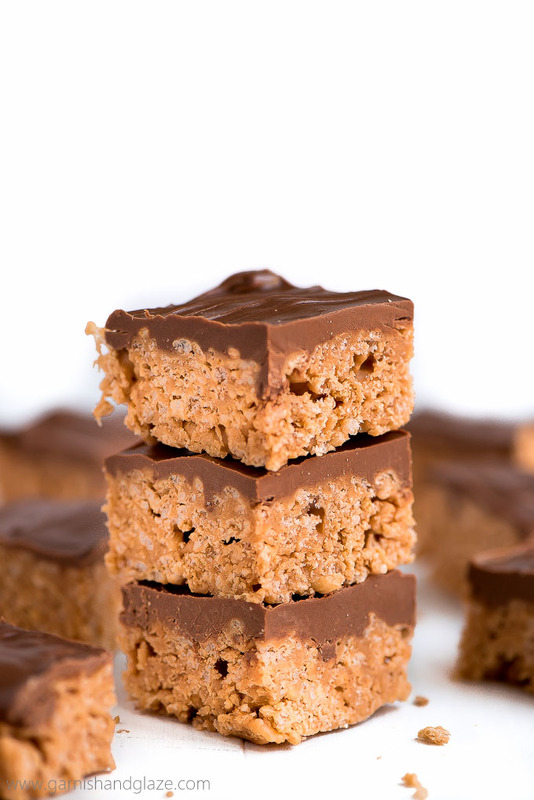 These peanut butter and chocolate treats are everyone’s favorite! When I was young, my friends always mandated that I bring them to every sleepover (and now my in-laws request them at every family dinner!). They’re a definite girls night staple. My friends seriously love them so much that when they accidentally spilled them on the floor of our cabin at summer camp, they waited until we finished them off to tell me so. They knew my OCD would have sentenced these delicious treats to the trash but they couldn’t let these heavenly squares be ruined by a bit of dirt. That good people! What are you waiting for?! 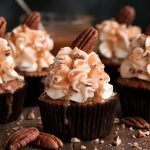 Go grab these 6 ingredients and make these yummy treats. You won’t regret it! 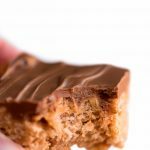 These soft and chewy Scotcheroos are an addictive, six-ingredient, peanut butter no-bake treat that comes together in just ten minutes. In the bottom of a large pot, heat sugar and karo syrup over medium heat. Stir occasionally. Cook just until sugar dissolves or until it starts to barely bubble. Remove from heat, stir in the peanut butter until it it melts and mixture is smooth. 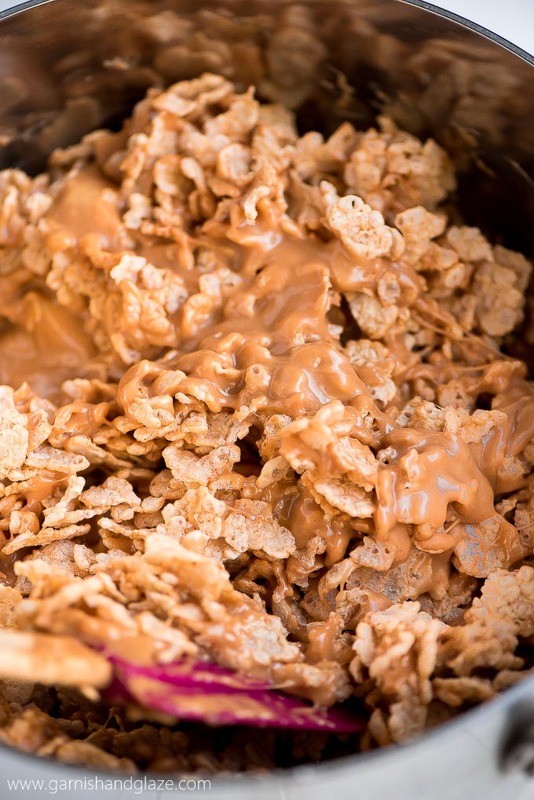 Add in the cereal and fold gently until all cereal is evenly coated. Spread into the pan and gently press flat. *Do NOT substitute with Rice Krispies. That will alter the amount of surface area and ratio of cereal to coating. 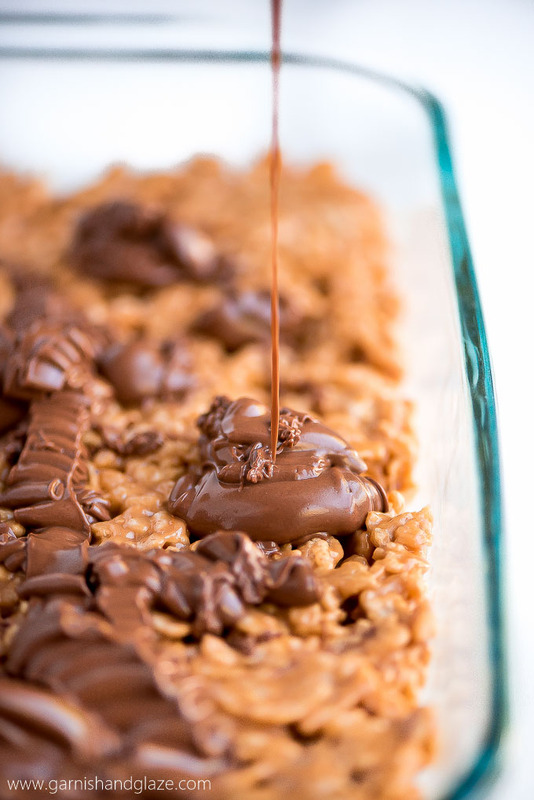 If you only have Rice Krispies on hand, use my Scotcheroo Hearts recipe. 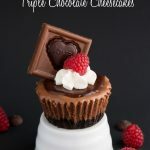 I’ve never made these before but they look amazing! I need to try them!